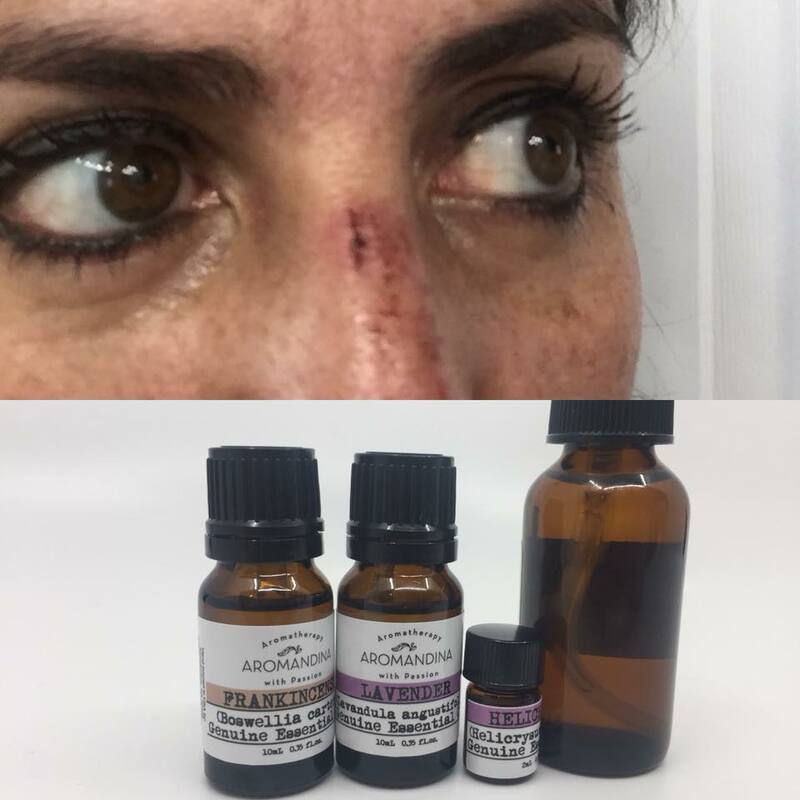 Aromatherapy Blog - Page 2 of 28 - Aromatherapy Blog by Cristina Proano-Carrion talking about essential oils uses, tips, recomendations, receipes and all about aromatherapy. Subtle aromatherapy is the use of essential oils in non-physical ways, it can be described as a form of vibrational healing, by drawing on the subtle, energetic or vibrational qualities of essential oils. Some applications of essential oils that can be described as subtle Aromatherapy are auric massage, chakra balancing, absent healing, planetary healing, meditation and ritual ceremony, and the use of oils to help personal growth on both the personality and the spiritual level. Thanks to recent and ongoing research we now have a wealth of knowledge about the physical properties and actions of essential oils. Parallel with this increasing volume of factual information about physical aromatherapy has been a growing desire to know more about the non-physical effects of essential oils. Form a clear mental picture of the plant or plants whose oil you are about to use and try to carry that picture in your mind while you are working. Ground and center your own energies before you begin work. Mix your chosen oil or oils in a carrier oil, as usual, but using a much lower dilution (0.5% – 1% rather than 2 – 3%) concentrate on light effleurage and long sweeping strokes. Let your hands come to rest on any area of the body that feels as if it needs special healing. Pay attention to the extremities: hand, feet, and head, drawing off any negative energy that may be present (remember to give your hands a brisk shake each time you do so). End by holding the feet for a minute or more, to ground their energy and allow a gentle return to everyday reality. Choose a quiet time when you will not be disturbed. When you are ready to get into the water, add a mixture of five drops of oils with one tablespoon carrier oil. Relax in the bath for 15-20 minutes, holding in your mind the result you wish to achieve by bathing in this way. Don’t use this time for washing. A ritual bath can be a way to mark the change from mundane activities to special ones, it can also be used to ‘clear’ after a bad experience. This is perhaps the most subtle of the traditional methods, as it involves only the aroma of the plant, representing its energy in the most refined form. We experience the essential oil in its gaseous state – the least solid form of physical matter. A valuable use of burners or diffusers is in preparing a room for meditation or healing, mainly if the room is generally used for different purposes. You may even need to clear the atmosphere at a purely physical level, to unpleasant smells. Another use of room perfuming is to ‘clean’ places where there has been an unpleasant event. Arguments, fights or any kind of trauma can leave very negative vibrations. Vaporized oils can also be used to enhance creativity. Dis-ease manifests in the subtle body before any physical symptoms are apparent, and the ‘echoes’ of illness and accidents can remain within a person’s aura long after physical healing has taken place. The same is true of emotional trauma. Bringing the appropriate essential oils into the aura helps to restore harmony. Putting oil directly on the body is a very ancient practice, familiar to many religions and spiritual traditions. Anointing can be used as a form of protection, by putting a few drops of an oil such as Rosemary, Juniper or Vetiver on the body before going into a threatening situation or a place where the current energy is unpleasant. If anointing is being done for protection, apply the oil on the head and the solar plexus area. Merely smelling an essential oil can dramatically change our state of awareness, and is often the best way to use essential oils to assist visualization or strengthen affirmations. Sniffing the oil directly from the bottle is often overpowering, so just putting a drop on a tissue is better. A single drop is all that is needed: inhale it deeper before beginning a visualization, meditation or affirmation. Inhale deeply again at the end to anchor the experience. Use essential oils that are not irritating to the skin. Less is always more. When you use essential oils for their subtle properties, you will need far less than when you are looking for a physical effect. As a general rule, the smaller the quantity of oils used, the more potent the subtle effect. For example, in preparing an aromatic bath to sleep better, you would use 10 drops of essential oil. To prepare a bath for ritual cleansing, you should use 5 drops or less. Use the very highest quality essential oils you can find. Always work from your Higher Self. All healing or subtle work needs to be undertaken with a pure and altruistic motivation. I’m sure any times it has been very difficult for you to understand some of the words to describe the properties of essential oils because you don’t come across them in everyday life. With that in mind, I present you this A-Z Glossary to help you understand some of the technical terms and their corresponding essential oils. Alterative: cleanses the blood and corrects impure blood conditions: Carrot seed, Cypress, Grapefruit, Everlasting, Juniper Berry, Lemon, Mandarin, Rosemary. Analgesic: reduces pain sensation: Basil, Bay Laurel, Bergamot, Black Pepper, Cardamom, German Chamomile, Eucalyptus radiata, Fennel, Fir, Geranium, Ginger, Juniper Berry, Lavender, Lemongrass, Marjoram, Niaouli, Peppermint, Rosemary, Tea Tree. Cholagogue: Increases the secretion and flow of bile production into the duodenum: Peppermint, Fennel, German Chamomile, Lavender. Cytophylactic: encourages cell regeneration and growth of skin cells: German Chamomile, Helichrysum, Frankincense, Geranium, Lavender, Rose. Emmenagogue: Promotes and regulates menstruation: Basil, Clary Sage, German Chamomile, Cinnamon, Ginger, Jasmine, Juniper Berry, Lavender, Peppermint, Rose, Rosemary, Fennel, Marjoram. Hypotensive: reduces blood pressure: Marjoram, Lavender, Litsea Cubeba, Ylang Ylang. Nervine: strengthens or tonifies the nerves and nervous system: Bergamot, Lavender, Clary Sage, Geranium, Ylang Ylang. Uterine: Tonic to the uterus: Clary Sage, Jasmine, Frankincense, Rose. If the popularity of our Headache Begone and Allergy Calm roll-ons is anything to go by, we can safely say that customers love our aromatherapy roll-ons. So to add to that, we created some brand new ones! Our new range of roll-ons include our most popular essential oil blends that come pre-diluted in nourishing fractionated coconut oil, conveniently packaged in a sleek bottle that you can carry anywhere—at work, when out with friends, while traveling and even in flights. Just keep them in your purse or pocket and get ready to roll! Apart from inhalation, the benefits of essential oils can also be enjoyed via absorption of the oils through the skin. The rubbing mechanism of aromatherapy roll-ons on pressure points activates the essential oils and stimulates blood circulation in that area. Essential oil molecules are able to pass through the outer epidermal layers, into the capillaries from where they are carried to the brain. The fact that they are also inhaled at the same time, explains the fast-acting nature of essential oil roll-ons. How to use essential oil roll-ons? For maximum benefit, it is best to apply aromatherapy roll-ons at the pulse points. The skin here is thin and the blood vessels are closer to the skin, which facilitates easy absorption. To further accentuate the effect, you may keep inhaling the aromatherapy roll-on from your skin or directly from the bottle. Ready to get started? Try out our Sampler Set of 8 roll-ons, which include all the basic essential oils blends you will need for your day-to-day needs. Eucalyptus, Niaouli, Pine, Ravensara and Lavender come together to strengthen and support the immune system. Naturally antibacterial and germicidal in nature, this essential oil blend protects you against infections and also works as a decongestant. A necessary addition to your medicine cabinet! Recommended for: common cold, sinusitis, laryngitis and chronic bronchitis. With uplifting oils like Clary Sage, Ylang Ylang and May Chang, this blend fights depression, grief and negative emotions. If you are going through challenging times, this oil will help you keep a positive frame of mind, resulting in success at work and in relationships. Happiness is just a sniff away! Recommended for: nervous breakdown, grief, anxiety and acute depression. A blend of calming and comforting oils such as Lavender, Mandarin, Sweet Marjoram and Palo Santo, this roll-on is a must-have on your bedside table. The oils work to relieve your daily stresses, easing you into deep and blissful sleep. With regular use, you’ll find yourself sleeping like a baby. Bogged down by fatigue? Revitalize yourself with this energizing blend of Rosemary, Litsea Cubeba and Pine essential oils. Use it any time of the day when you feel tiredness creeping in to stay fresh, alert, cheerful and raring to go! A blessing for women, this roll-on combines Geranium, Clary Sage, Lavender and Grapefruit to help you celebrate your femininity at every phase of your cycle. Right from maintaining hormonal balance, to keeping the mind calm and composed during periods of irritability and moodiness, this oil blend helps open up your heart and bring out your caring, sensitive and nurturing side. Awaken your sensual side with exotic oils like Cardamom, Grapefruit, Mandarin and Patchouli. The blend enhances your confidence, while at the same time, heightening your sensitivity to sensual stimuli. A combination of potent aphrodisiacs and stimulants, this is one essential oil blend that will get you in the right mood in no time! 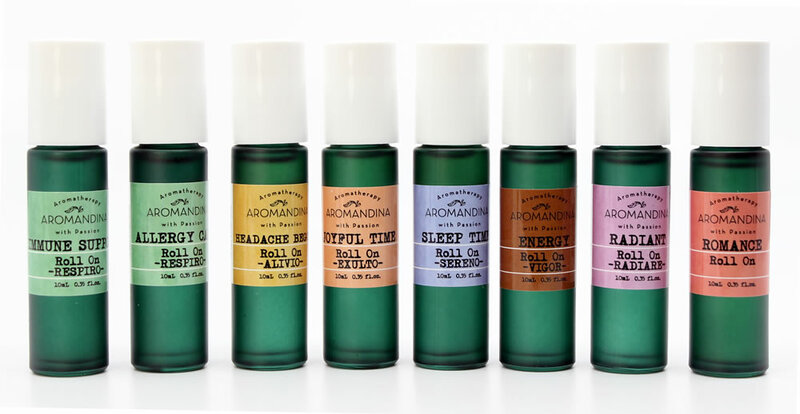 Order your Aromatherapy Roll On Set now and discover the many joys and benefits of aromatherapy, all neatly packaged in cute and convenient roll-on bottles. These aromatherapy blends are safe for all skin types and make for perfect gifts too! The more I explore the properties of carrot seed essential oil and use it in my products, the more I am smitten by its versatility and benefits. It is one of the most nourishing oils for the skin and I have noticed phenomenal results, both in regular skin care regimens as well as the treatment of skin conditions like severe dryness, eczema, infections and allergies. If there is one wonder oil for the skin, my vote would definitely go to this one. Mostly popular as a skin care oil, carrot seed essential oil is rather underrated when it comes to therapeutic benefits. Here are some ways you can use this oil in your daily self-care regimen. For Skin Care: Carrot seed essential oil has excellent regenerative properties which lends elasticity and tone to wrinkled and ageing skin. It also helps in providing relief from burns, skin rashes, sun damage, ulcers, dermatitis and skin discoloration. Simply mix a couple of drops of carrot seed essential oil to your regular serum or moisturizer and apply all over your face and body. This is a quick and simple way to enhance your skin care regimen and maintain youthful, healthy skin in all seasons. As a Liver Tonic: Carrot Seed Essential Oil is very effective as a hepatic and helps detoxify the liver. When used after a severe bout of hepatitis or drug toxicity, it helps regenerate the liver cells. Combine 1 tablespoon of Carrier Oil with 5 drops of carrot seed oil and apply to abdomen area twice a day. As a Diuretic: Toxins and hormonal imbalances in the body can cause swelling and water retention, leading to bloating and discomfort. Carrot seed essential oil is a safe and natural diuretic which improves renal function and helps expel excess water from the tissues. This property of the oil also makes it useful in the management of urinary tract infections. Combine 1 tablespoon of Carrier Oil with 3 drops of Carrot Seed essential oil and 2 drops of Fennel essential oil. Apply on lower back and lower abdomen. For Emotional Wellbeing: Inhaling carrot seed oil induces a feeling of calmness and confidence. It heightens perception and intuition, thus setting you up for a beautiful journey of self-discovery. Since it connects your energy to the root chakra, it helps you feel more grounded and aware of yourself. With the use of this oil, you will also find yourself becoming more empathetic and compassionate towards others. Helps relieve menstrual cramps and other symptoms of PMS. Also useful in regulating hormones during menopause. Provides relief from flatulence and indigestion. I have used Carrot Seed Essential Oil for many of my clients and they are full of praises for its versatility and various health benefits. Best of all, it is mild, safe and smells heavenly! Do try it out and let me know how you feel about it. There are many products and formulas out in the market that promise a miracle cure for baldness, but so far, none of them have been proved to be successful. That’s only because of one reason—there is no quick fix for baldness. Baldness (or Alopecia Areata) is a condition that affects men as well as women, although the pattern may be different. Once hair is lost, there is little chance that it will grow back. However, with care and proper treatment, it is possible to keep the remaining hair healthy and slow down further hair loss. In some cases, if the hair follicle is still alive, some hair might even grow back. The most effective way to nourish the hair follicles is to promote blood circulation around the scalp. While this is usually done by massaging the scalp with nutritive vegetable oils, research has shown that the effectiveness of the treatment is significantly enhanced when therapeutic essential oils for hair loss are added to the carrier oil. ARGAN HAIR ELIXIR FOR HAIR LOSS is a holistic hair solution that combines the most effective oils that are known to stimulate hair growth and keep the follicles healthy. Argan Oil: strengthens the hair follicle, promotes hair growth and fights hair loss by keeping the hair and scalp in a naturally healthy condition. Golden Jojoba Oil: very effective in the treatment of hair loss, dandruff and damaged/brittle hair. Rosemary: helps prevent thinning of hair, loss or change of hair color, and dandruff. Clary Sage: vitalizes the scalp and helps in treating dandruff. Lavender: a potent anti-bacterial and fungicidal, it regularizes sebum production in the scalp thus preventing dandruff and scalp infections. Lemon: reduces sebum production, stimulates circulation and relieves itchy scalp conditions. Thyme: has natural healing properties and helps keep the scalp healthy and free of infections. It is important to note that when it comes to hair loss, no treatment can yield quick results. To be able to see any visible improvement, you have to use the correct combination of essential oils for hair loss, and be patient and consistent with the treatment for at least four months. Pump Hair Elixir into your palms 2 or 3 times. Work into roots and through hair, focusing on the affected area before applying it to the rest of the scalp. Massage your scalp for 5 minutes and leave the Elixir on overnight. Use it the night before you wash your hair. When shampooing, use a hypoallergenic, sulfate free shampoo. To further enhance the efficacy of the product, you can add add 15 drops each of Lavender, Rosemary, Grapefruit, Cypress essential oils to your unscented, detergent free shampoo. Stick to this process for at least 3 months. If you have been looking to use essential oils for hair loss, try the Argan Hair Elixir, and tell us how it helped you. On New Year’s Eve I fell and scraped my face and knees on the cement. Fortunately I have my essential oils on hand. I immediately have applied the following blend of essential oil for scrapes and wounds. Although the skin is scraped, there’s hardly any hematoma, and that’s because I acted very quickly and applied the oils immediately. I have used this aromatherapy blend before when my son was little and it always worked wonders. FRANKINCENSE: Is well known in skin care for its cicatrisant (promotes the formation of scar tissue) and cytophylactic (encourages growth of skin cells) properties. Recommended for scars, wounds and wrinkles. It is also used for raw, chapped skin, hand care and mature skin. LAVENDER: Analgesic (eases the pain), anti-inflammatory, antiseptic and cicatrisant. Its rejuvenating properties make it useful for itchy skin, hand care, cracked skin, bruises, wounds and burns. HELICHRYSUM: It is recommended where there is inflamed tissue which needs to be calmed down and regenerated. It has anti-inflammatory properties and it’s very useful for bruises, chapped skin and hematomas. JOJOBA: Forms a fine, protective, non greasy film. The skin becomes silky and soft. I will apply this blend twice a day and I’ll keep you posted on the results. I’m not the most superstitious person, but I have one ritual I go through with every New Year’s that I truly believe in. Every New Year’s eve or during the first 2 weeks in January I take a ritual bath with essential oils, candles, and music. It has helped me reset my life, plan my future, overcome fear, and ease my mind going forward into the new year.